“You want to smile and pretend otherwise until you get the job,” Warren said. 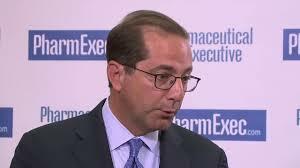 While President Donald Trump’s Health and Human Services (HHS) nominee Alex Azar—a former pharma executive—spent most of his Senate confirmation hearing on Tuesday ducking and dodging pointed questions about his long history of “price gouging,” Sen. Elizabeth Warren (D-Mass.) decided to call Azar out on his support for gutting Medicaid and turning the program into a block grant. Consumer groups and progressive lawmakers have repeatedly raised alarm about Azar’s right-wing healthcare views and his record of drastically hiking drug prices since he was picked by Trump to replace ousted HHS Secretary and private jet enthusiast Tom Price last November. “At a time when the U.S. is facing a nationwide crisis of access to affordable medicines, the top official in charge of healthcare should not be a former pharmaceutical company executive with a history of making lifesaving medicines unaffordable,” Public Citizen said in a statement ahead of Azar’s appearance before the Senate Finance Committee on Tuesday. “I don’t know that there is any drug price of a branded product that has ever gone down from any company on any drug in the United States because every incentive in this system is toward higher prices,” Azar added. This entry was posted in Corporate Personhood, Corruption, Economics, Government, Health Care, Human Rights, Income Inequality, Social Justice, Women's Issues, Workers' Issues and tagged Alex Azar, Big Pharma, block grants, Capitalism, Corruption, Department of Health and Human Services, Donald Trump, Economics, Eli Lilly, Elizabeth Warren, Equality, Health Care, Human rights, Income Inequality, Medicaid, Public Citizen, Ron Wyden, social justice, Tom Price, Women's Issues, workers' issues on January 10, 2018 by ew.